5 total results were found for this item. Ordered by high price to low price. 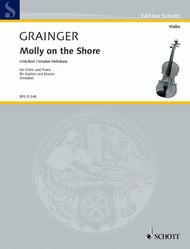 Molly on the Shore composed by Percy Aldridge Grainger (1882-1961). Arranged by R. Mark Rogers. For Concert Band (Score & Parts). Band - Concert Band Music. Southern Music. Score and parts. Southern Music Company #S703CB. Published by Southern Music Company (HL.3778136). 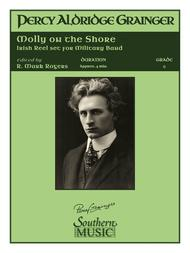 Molly on the Shore composed by Percy Aldridge Grainger (1882-1961). Arranged by Steve Knight. For Clarinet Choir (Eb Clarinet, 4 Bb Clarinets, Eb Alto Clarinet, 2 Bass Clarinets and Eb Contrabass Clarinet). Large ensemble music. Score and parts. 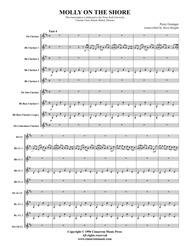 Published by Cimarron Music Press (CX.CM316).About Digital Print Sheet MusicDigital Print is printable sheet music available anytime, anywhere. Just purchase, print and play! View your online sheet music at home, school, work or anywhere you have a computer connected to the Internet. Use our iPad app to view your digital sheet music on the go. With Digital Print, you can print your digital sheet music immediately after purchase, or wait until its convenient. And our software installation is easy - we'll guide you through the simple steps to make sure you have Adobe Flash Player, Adobe AIR and the Sheet Music Plus AIR application. Molly on the Shore composed by Percy Aldridge Grainger (1882-1961). Arranged by R. Mark Rogers. For Concert Band (Full Score). Band - Concert Band Music. Southern Music. Grade 4. 40 pages. 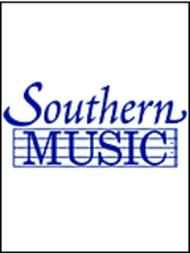 Southern Music Company #S703FS. Published by Southern Music Company (HL.3778139). Molly on the Shore (Woodwind Choir). Composed by Percy Aldridge Grainger (1882-1961). Arranged by Rogers, R. Mark and R. Mark Rogers. 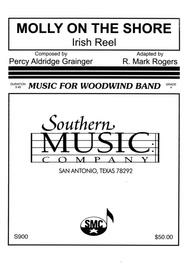 For Woodwind Choir, Woodwinds (Full Score). Woodwind Solos & Ensembles - Woodwind Choir. Southern Music. Grade 4. 36 pages. Southern Music Company #S900FS. Published by Southern Music Company (HL.3778943). Molly on the Shore (for Violin and Piano). Composed by Percy Aldridge Grainger (1882-1961). Edited by Fritz Kreisler. For Piano, Violin. Schott. 16 pages. Schott Music #BSS31240. Published by Schott Music (HL.49022807).